BounceU was established by parents like you, and all of our facilities and programs are designed to be safe, upbeat, and truly memorable. BounceU of Rockville was opened in April of 2011. Since then, we have been voted a Top Ten Party Place by Parents Magazine. BounceU of Rockville has proudly sponsored several sports teams in Montgomery County including swim teams, little league teams and soccer teams. We have donated tons of parties to local Montgomery County public schools and private schools to raise money for their PTA's. 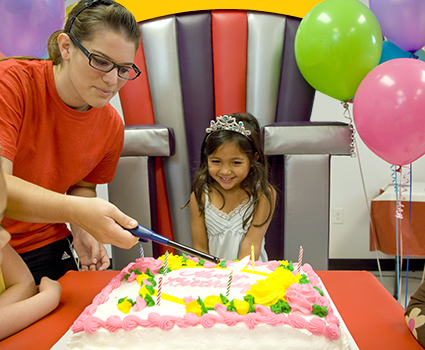 BounceU of Rockville has held many fundraisers for local charities and national organizations such as Make A Wish! BounceU of Rockville is proud of our relationship with Family Services and donates the facility to this organization several times a year so that the families can have quality time with their children. We are very grateful to all of our customers for making us the bestest party place and we are happy to give back to our community. 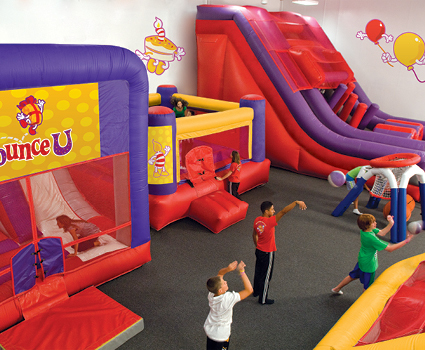 Thank you for making BounceU of Rockville the #1 choice for parties in Montgomery County and the surrounding areas.